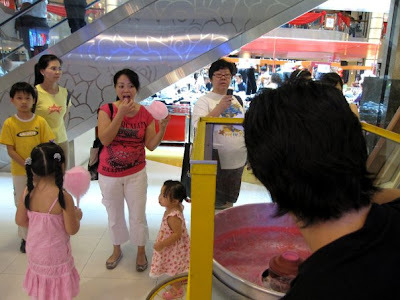 Auntie also like cotton candy... Or is she eyeing on our Kiehl's Boys? 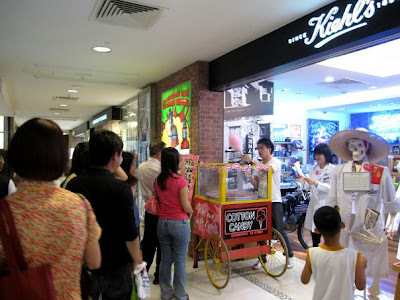 One for you... and one for you.... There is one for everyone! There is always one that suit everyone! 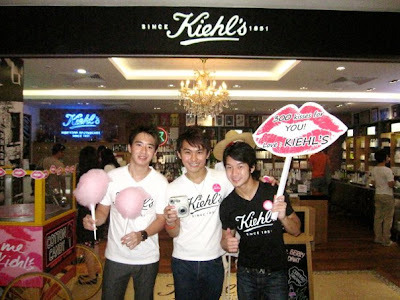 Candy Kiehl's boys making Cotton Candy for you! OMG! 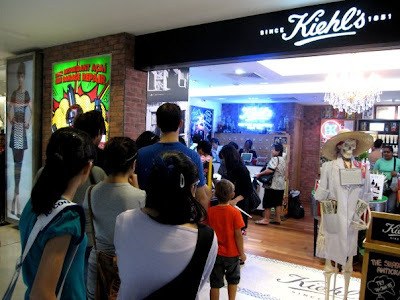 Look at the queue! 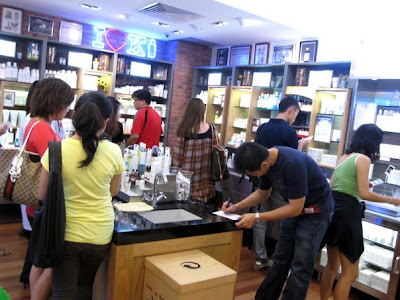 New customers filling up their customer profile card! Thanks! 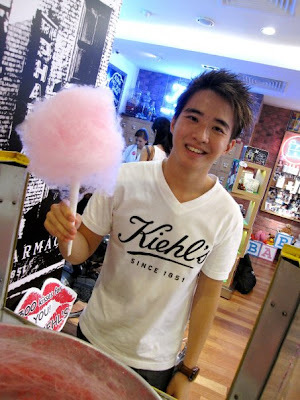 Kiehl's Boy Weiyang giving out a cotton candy he just made! 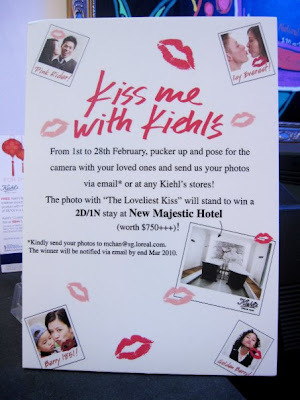 Here is a photo contest for you to take part and win a night stay at the New Majestic Hotel! 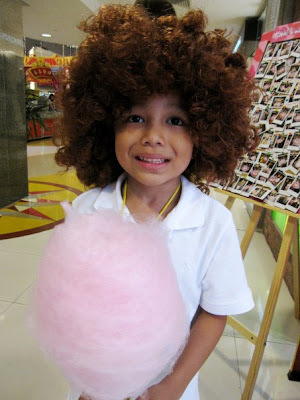 Look at this little boy's hair? 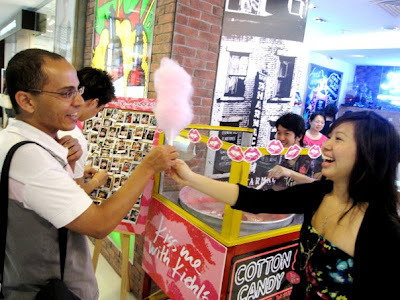 The cotton candy is as big as his hairdo! 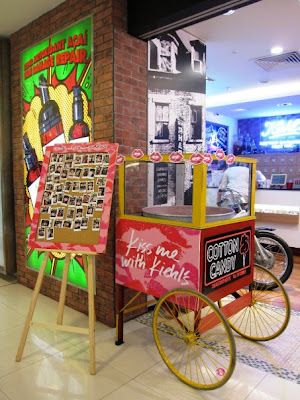 A picture with the pretty KCR!